Forget the debate about the true oomph of February's 227,000 job gain from January. Look at this same data on a year-over-year basis! 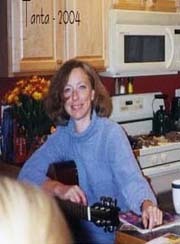 What do you learn? American bosses added 2.021 million jobs in the year ended in February. That's a 1.5 percent job growth pace. It's the fastest bout of hiring since January 2007. That requires a graph! Instead of just looking at the year-over-year increase in total nonfarm payrolls, I divided the data into changes in private and public payrolls. 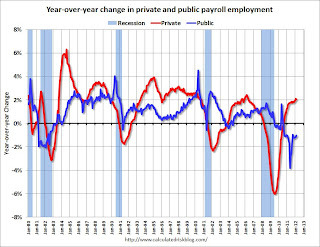 The red line is the year-over-year changes for private payrolls; the blue line is for public payrolls. Whereas total payrolls are up 1.5 percent, private payrolls are up 2.0% year-over-year, the fastest rate of increase since early 2006. 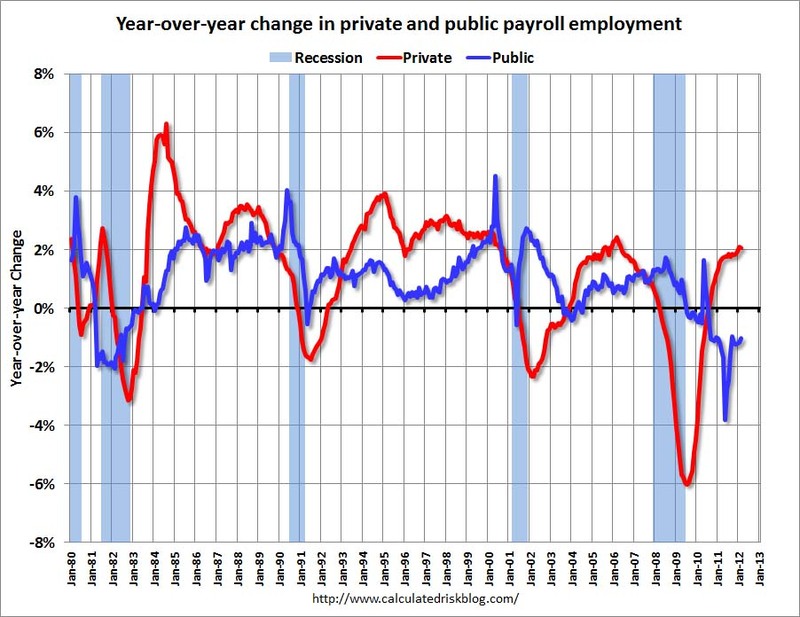 However public payrolls are down 1.0%, and public payrolls have been falling since mid-2009 with the exception of the decennial Census hiring (note the spike every 10 years in public hiring). Note: It looks likely that the decline in public payrolls will end mid-year 2012 (the year-over-year change will hit zero some time later).